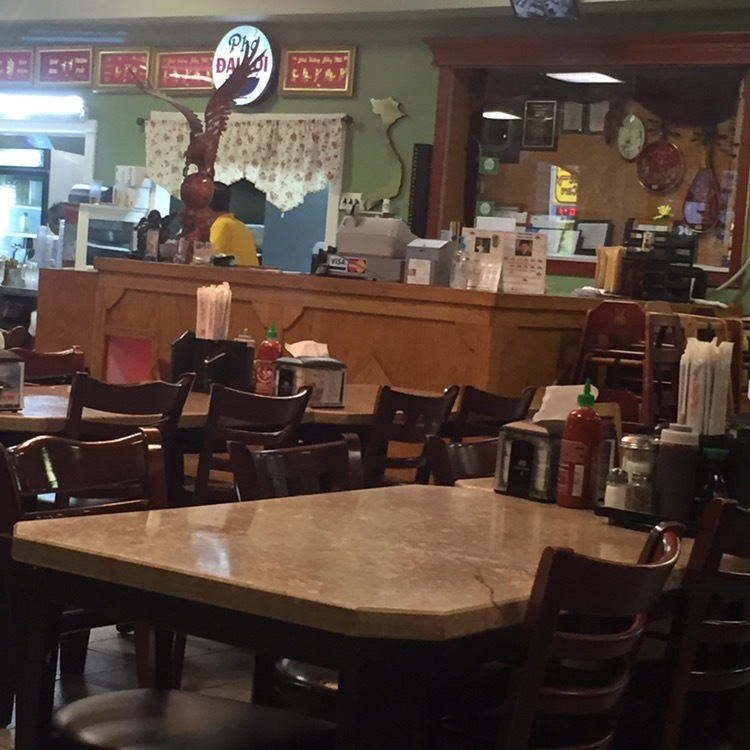 Pho Dai Loi 2 is another place that has been on “the list” for almost ten years. 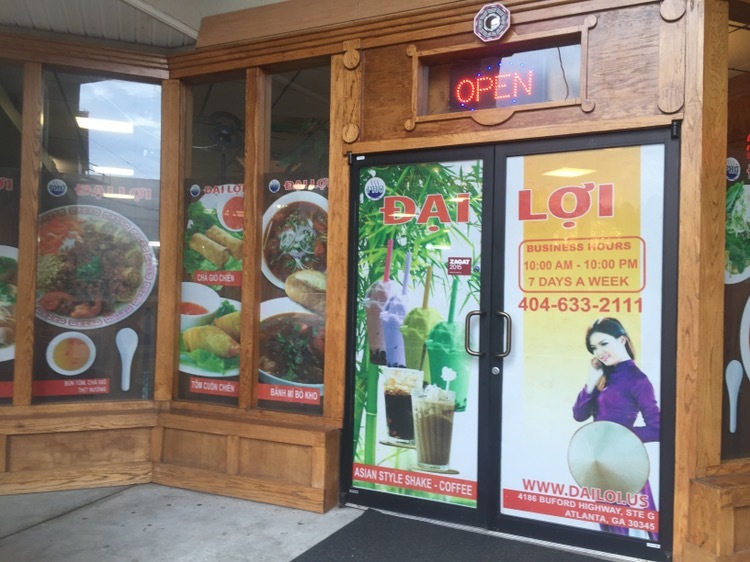 Pho Dai Loi (implied 1) is in Jonesboro and there is a Pho Dai Loi 3 in Duluth, but I can’t find anything only that declares an affiliation. But number “2” is the one that I’ve been supposed to eat at. With our recent Asian food craze, it was only a matter of time until this place rolled around to the top. So on a Thursday evening, heading across the city, I wheeled into the little strip shopping center where this Vietnamese restaurant serves as an anchor. They were not crowded and seating is plentiful – I was immediately shown to a table. The menu is extensive, and everyone around me was eating pho. 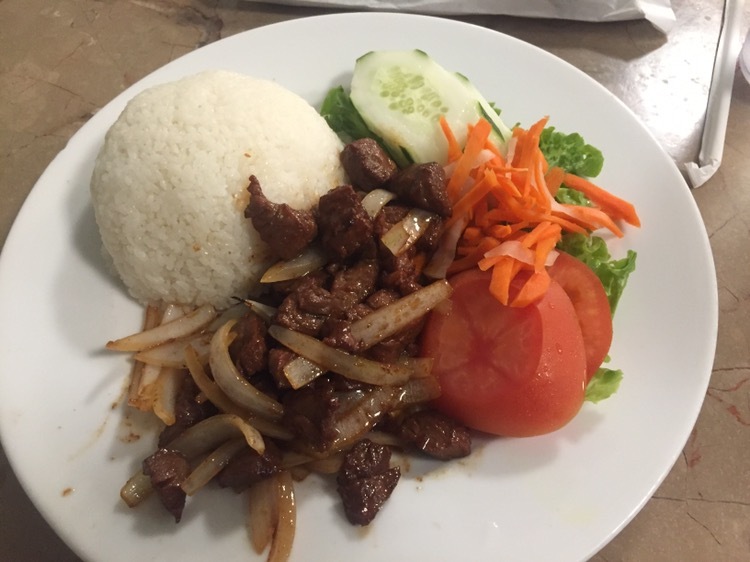 I perused it looking for my favorite dish – com bo luc lac / shaking beef. Of course, that is what I ordered. Food prep was fast, too and it wasn’t long before I had a plate of food in front of me. The dish was good, but the serving was small compared to Nam Phuong or I Love Pho and I do prefer the dish at either of those to here.